Swooping in to share another super quick and easy gift idea. This is going to be a very fast read. 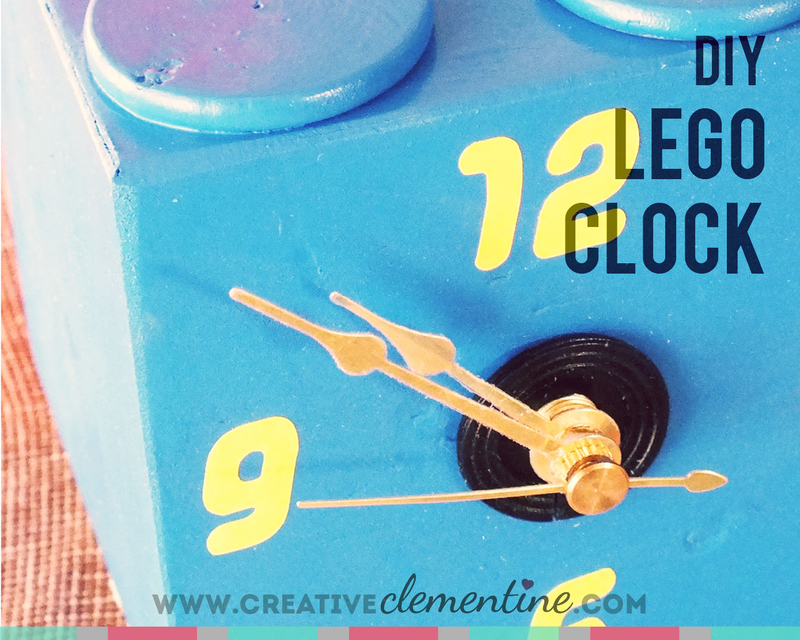 Since the Lego movie came out this year, the lego clock I made for my step sister a couple years ago is suddenly relevant again... YAY! 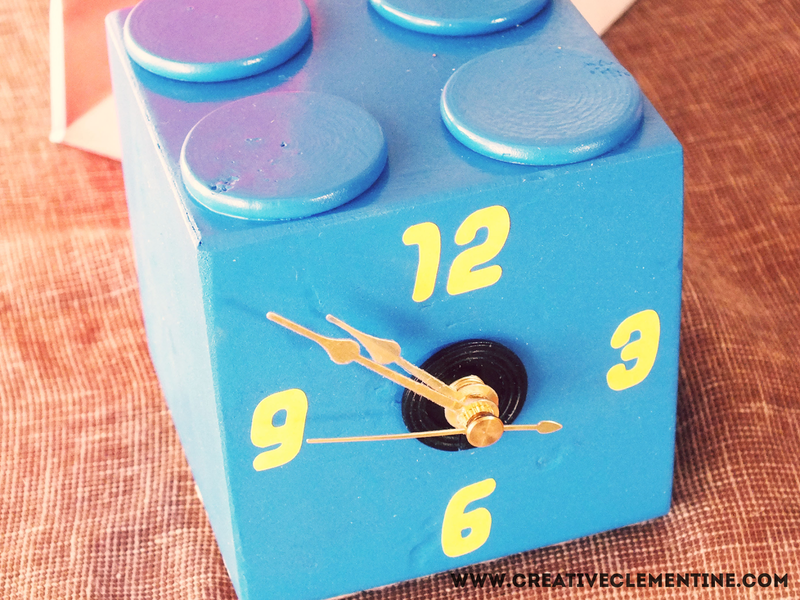 With apologies in advance for the utter lack of step-by-step photos, here is how to make a quick and whimsical lego clock. Use the exacto knife to cut out one side of the cube. Paint the cube and circle discs. Glue the circles to the top of the cube. This is so clever! Did you see that I put it in a round up of DIY gift ideas!? Love it! Thanks for linking up at Totally Terrific Tuesday! Ahh! I didn't see it, but I will look now!! Thanks for sharing, and happy new year!